All too often, e-commerce brands and other online businesses become so focused on selling products and services that they forgot about their audiences’ other needs. Ultimately, businesses must deliver across multiple fronts in order to remain relevant and trustworthy in their niches. Both customers and search engines alike expect these results – if you fail to deliver, then you’ll likely pay the price in terms of your SEO outcomes and even in your paid efforts. Today, we’ll talk about which forms of content specifically you should be creating if you run an e-commerce platform or online business and want people to value what you’re offering. By far the best choice for those seeking to outline products, convince consumers of benefits or merely to entertain, videos can convey massive amounts of information in no time. As our world becomes more mobile and demanding of quality content, the amount of video used by brands in marketing and organic content efforts alike continues to skyrocket. By pinging your website with video content that is informative, engaging, entertaining and/or useful in some capacity, you’ll be able to engage a whole new audience of (mostly) mobile users who wouldn’t bother reading long-winded blog posts about one topic or another. This type of content is also perfect for social media and makes the likelihood of your products and brand being seen far and wide much greater. 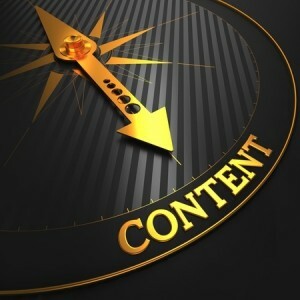 It’s also worth noting that search engines absolutely love rich content such as videos and rank them highly. When attempting to convince a shopper of one or more particular selling points, you need all the help you can get. While some e-commerce brands may blandly articulate the benefits and specifications of a product line-by-line, there are better options to consider. One of them is the use of infographics, which can turn any boring selling pitch into a fun and engaging experience for shoppers. By producing high-quality imagery that clearly articulates what a product is for, how it can be used and what it offers, you’re more likely to really hammer home the points you want to make. Whether you’re selling products that are complicated to assemble or you have a smattering of items that work well with one another, walking people through the how-tos of it all is good business. Customers and search engine users alike tend to prefer how-to content over many other formats of text-based content because it answers questions and delivers value. The great thing about tutorials and how-to content is that it can come in any format (including the ones we’ve mentioned above). Whether you settle on a simple blog post tutorial or an amazing SlideShare, search engines value this form of content just as much as customers – which is a lot. The best bet for any e-commerce platform with respect to content creation is to create as much content and in as many formats as possible. While customers may generally have preferences for select types of content, you want to be pinging your website with offerings that satisfy everybody’s needs. What forms of content are you already offering your customers, and which ones generate the most interaction and value for your brand? Tell us below about your results thus far.